Tracy enjoys doing family activities and walking her dog in the local area. Tracy participates in a variety of crafts including knitting, crocheting and scrapbooking, and likes nothing better than getting away on a weekend retreat or travelling. Tracy has a long secretarial career and has worked as a paralegal for many years in law firms and has recently been office manager at a chauffer driver limousine company in Terry Hills. 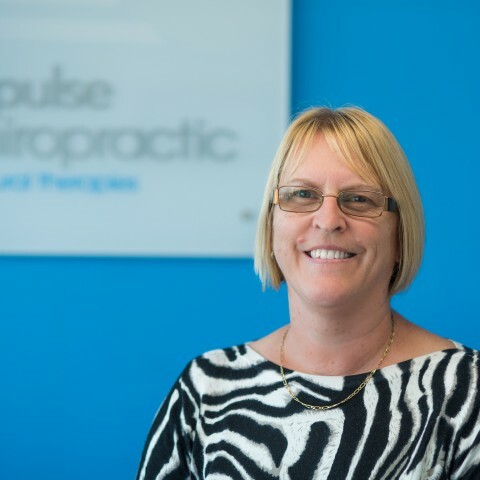 Tracy enjoys the community chit chat with the patients and didn’t realise how many people she knew until she began working with us at Impulse Chiropractic. Tracy has used Chiropractic as part of her health care for many years (a great patient here at Impulse for many years) and uses this knowledge to enhance her role within our team and help our patients where needed.